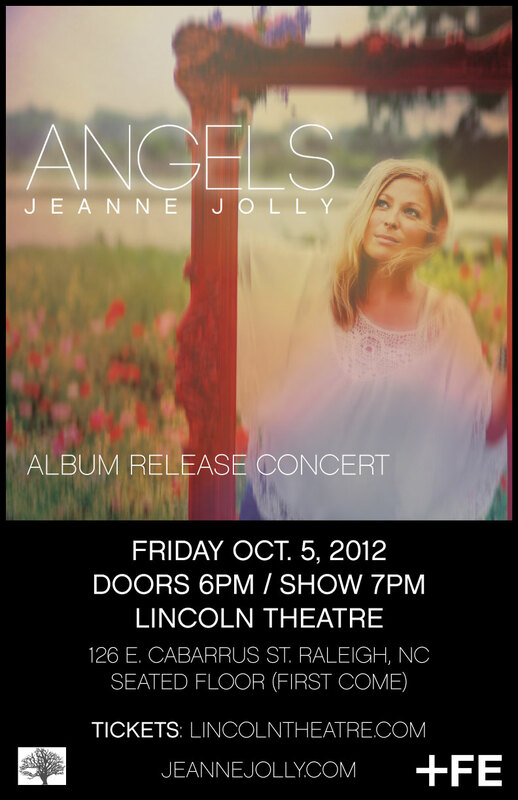 Join us for the ''Angels'' album release concert at Lincoln Theater in Raleigh NC featuring a live performance by Jeanne Jolly and band (Chris Boerner on guitar, Allyn Love on pedal steel, E. Scott Warren on bass and Nick Baglio on drums) with special guests. 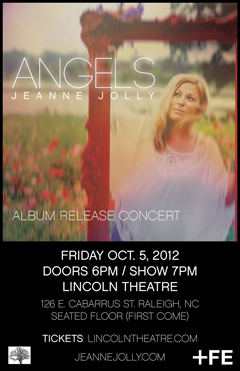 Please note: Early show. Seated floor (First come). \nPlease note: Early show. Seated floor (First come).